Watch this exclusive Mr. Media interview with World Cup and U.S. Olympics champion soccer player Brandi Chastain by clicking on the video player above! Mr. Media is recorded live before a studio audience of soccer moms and the teen girls who love them… in the NEW new media capital of the world… St. Petersburg, Florida! 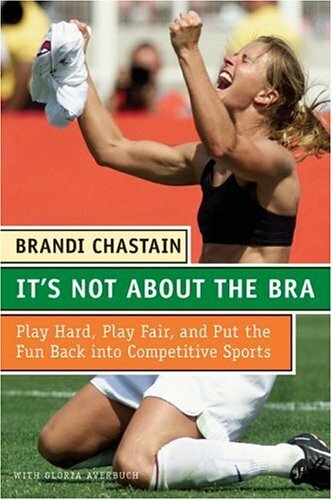 Order ‘It’s Not About the Bra: Play Hard, Play Fair, and Put the Fun Back Into Competitive Sports’ by Brandi Chastain, available right now at a great price by clicking on the book cover above! Today on Mr. Media, I’ll talk to one of America’s most successful, most popular soccer players ever, Olympics and World Cup champion Brandi Chastain. What’s up with Brandi Chastain now? She’s here to talk about the Active Family Project, sponsored by Merck Pharmaceuticals. Merck is donating soccer kits to US Youth Soccer programs in under-served communities to encourage more kids to play soccer and Brandi is the face of the program. Kids playing soccer is something I personally have a vested interest in; this fall will be my 12th year coaching girls soccer, and my seventh at Shorecrest Preparatory School here in St. Petersburg, Florida. Getting out on the field with my kids from November through January is my favorite time of year; getting insight from a world champion such as Brandi is a great opportunity. This is Brandi’s second time as a guest on the show. And can I just say that she is one of the nice, sweetest guests ever. She can come back any time! To see the 1999 Women’s World Cup penalty kick moment that made Brandi Chastain the idol of a generation, skip ahead to 12:05 on the video above! 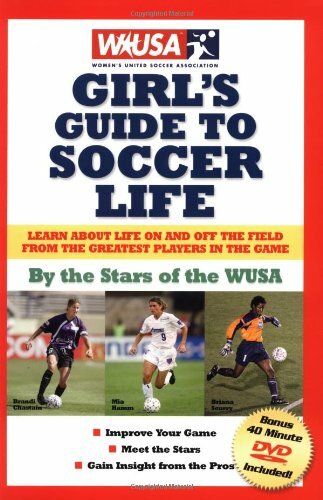 Order ‘WUSA Girl’s Guide to Soccer Life by the stars of the WUSA, available right now at a great price by clicking on the book cover above!